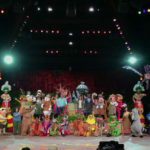 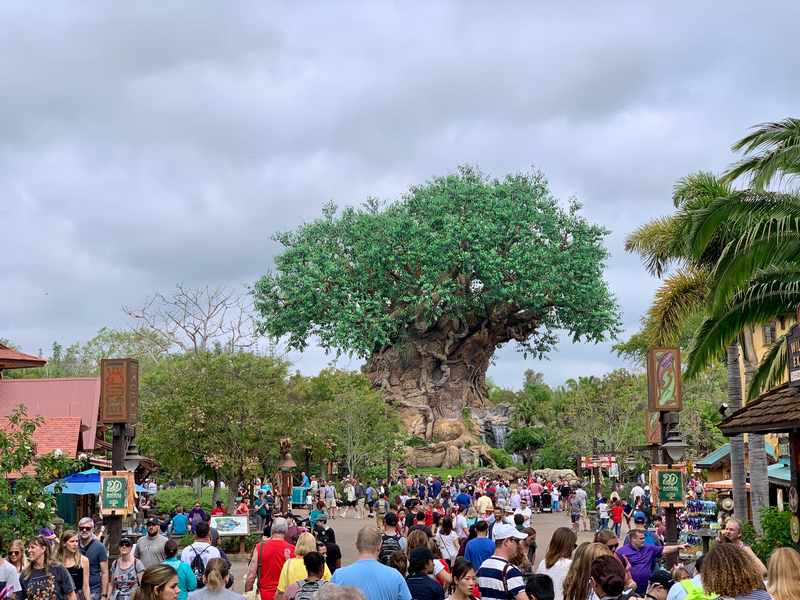 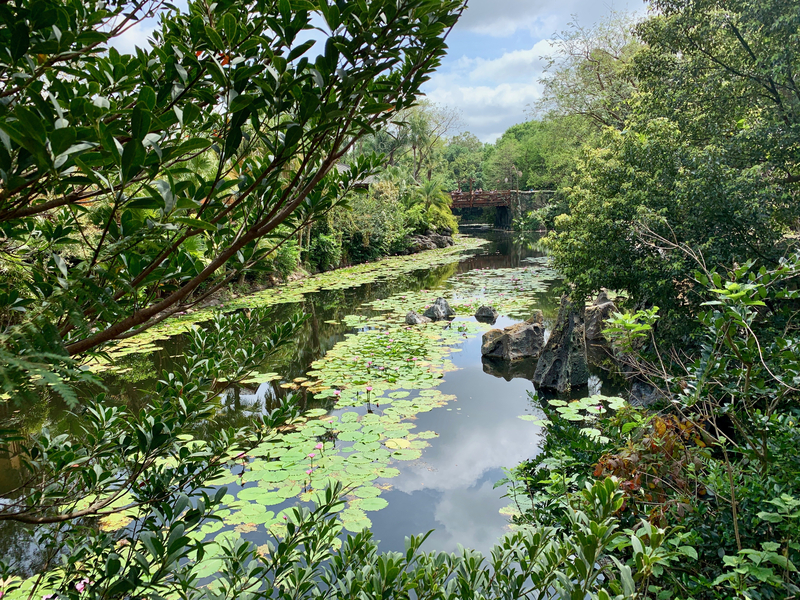 As Spring Break is breaking into full swing, we take a quick tour of Disney’s Animal Kingdom. 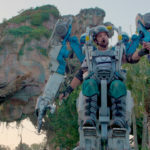 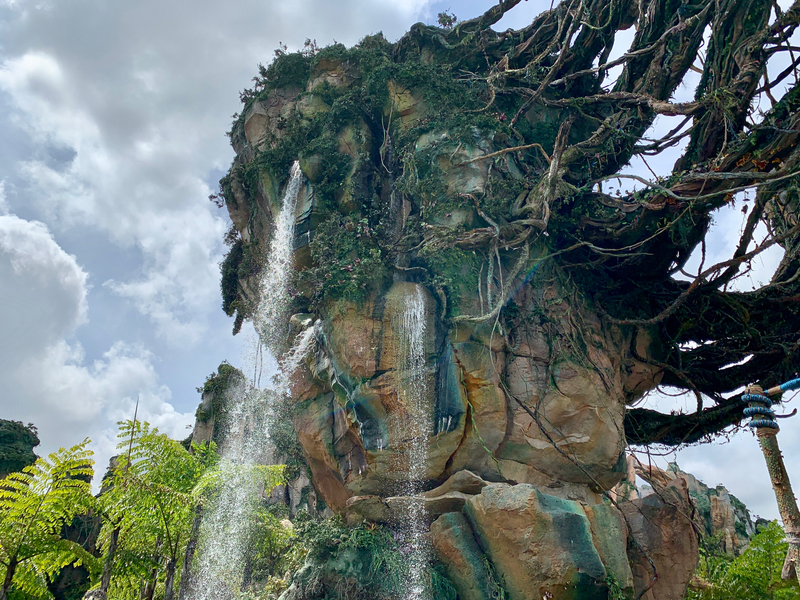 We are approaching two years since the guests were first able to cross to Pandora: The World of Avatar and not much has changed. 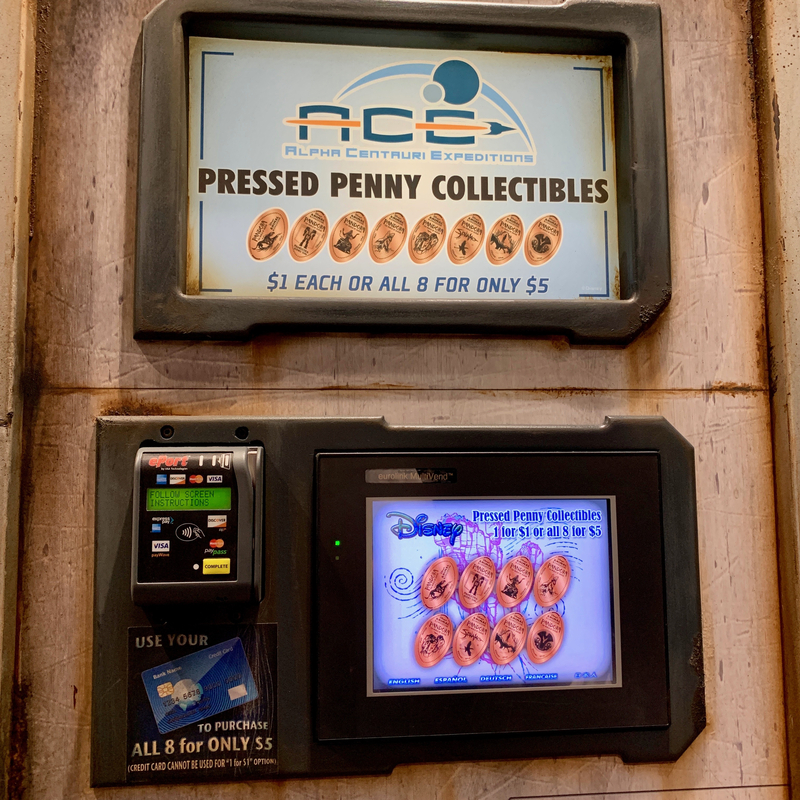 The land is still beautiful and the lines are still plentiful. 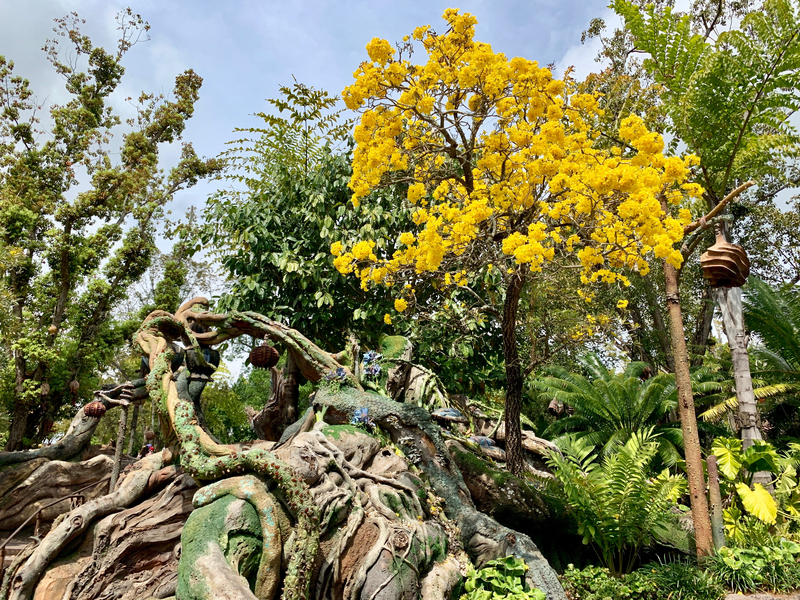 Avatar Flight of Passage is still averaging 2 1/2 hour waits while Na’vi River Journey seems to max out at 1 1/2 as word has gotten out what the attractions are all about. 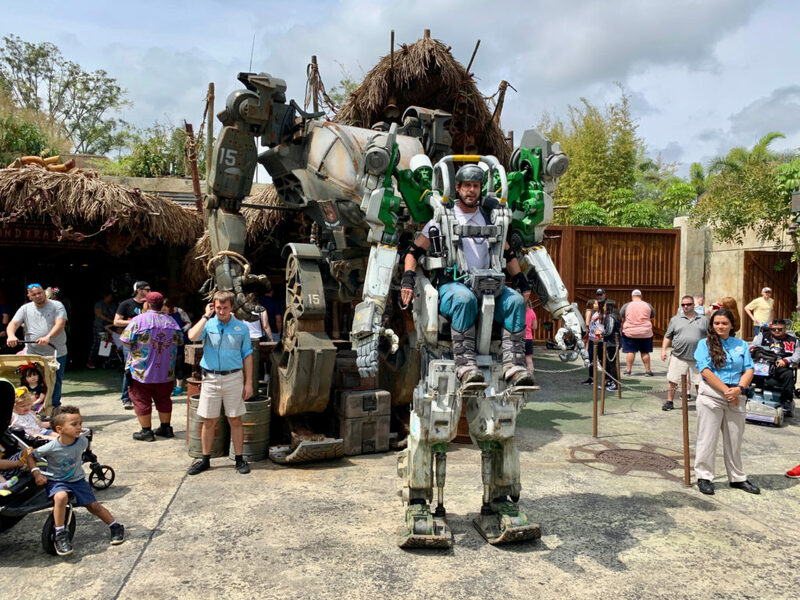 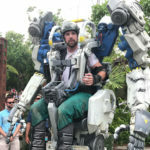 The Pandora Utility Suit is still making its rounds, helping guests understand more about this alien world and how people live on it. 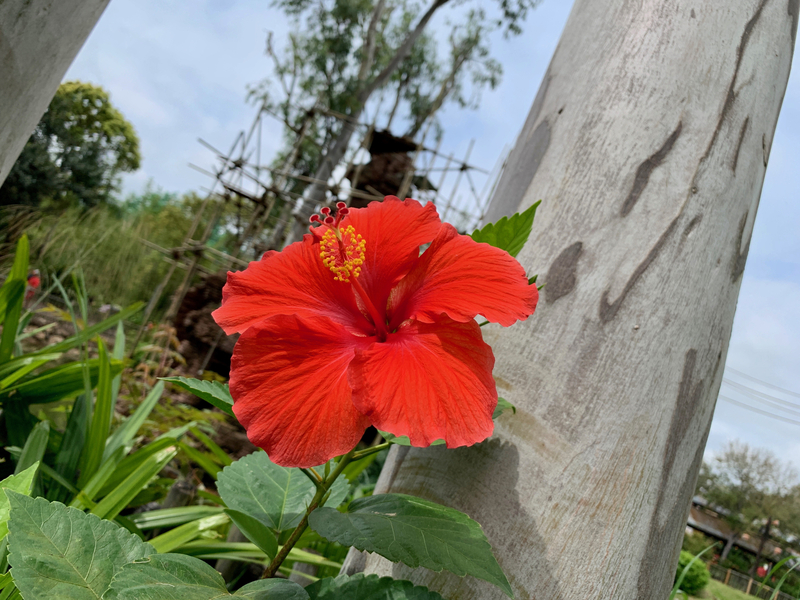 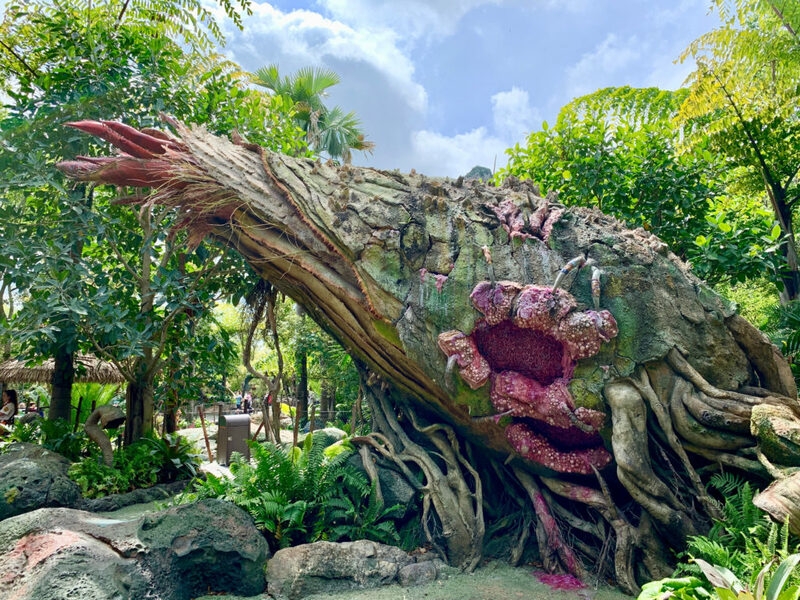 Another change to the land, which we hope is only temporary, is the flaska reclinata at the entrance of the land that helps with the “crucial act of atmospheric purification constantly” no longer sprays water after guests interact with it. 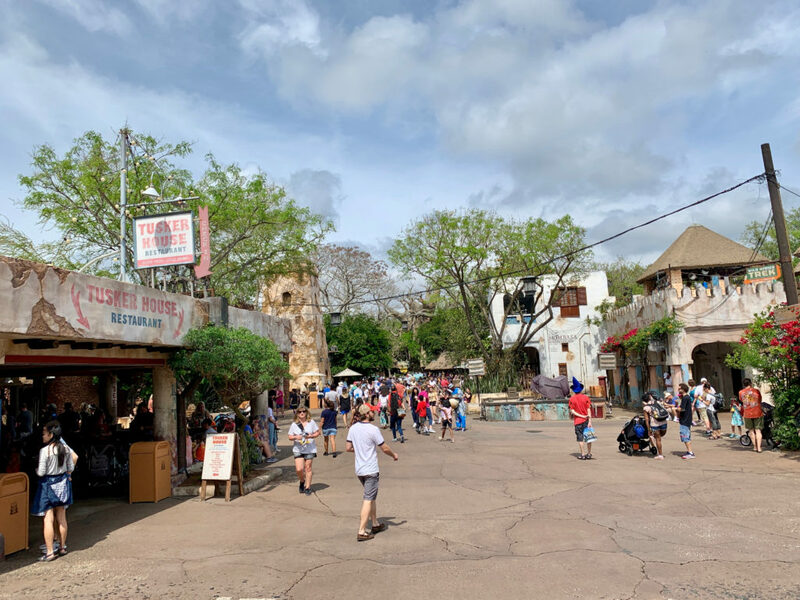 This change happened as the land was being repainted so hopefully it will return before summer. 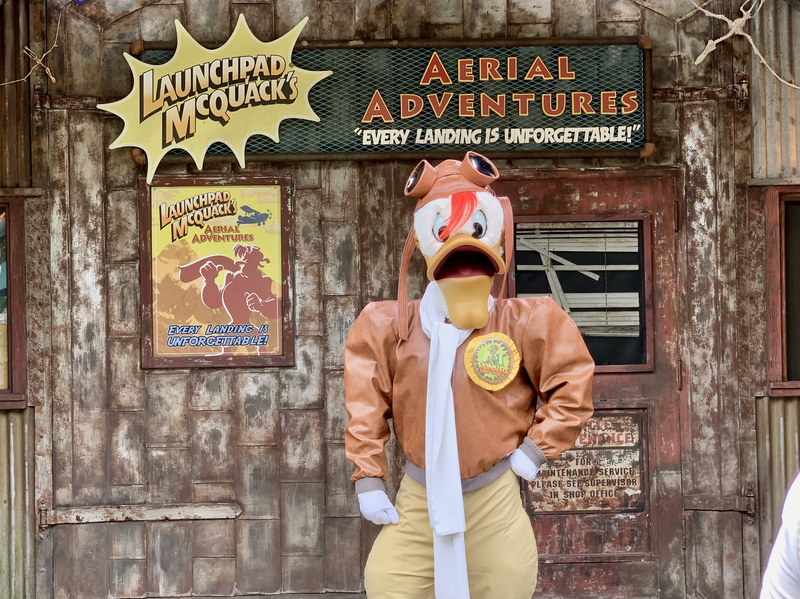 Over in DinoLand U.S.A. it looks like Donald and friends are here to stay as the “Donald’s Dino Bash” festivities are still going strong and guests are enjoying a visit with some of Duckburg’s finest still. 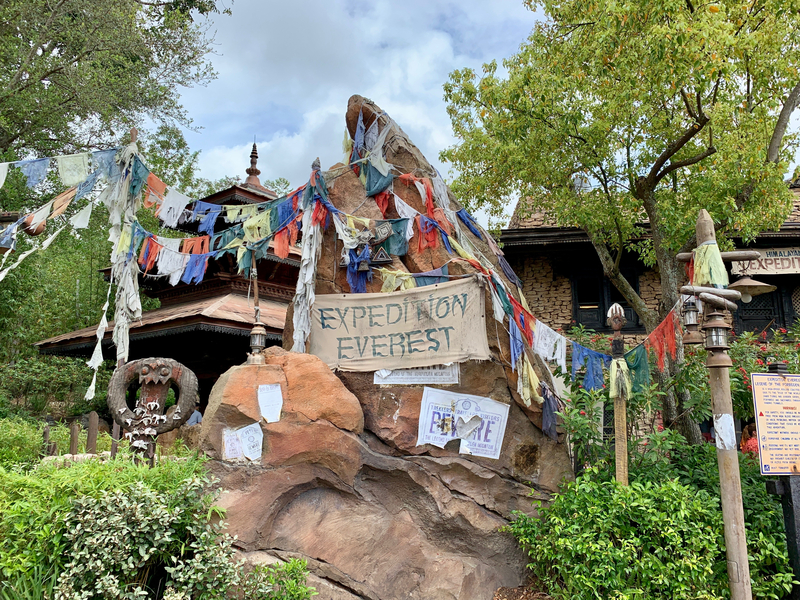 Heading into Asia, Expedition: Everest is still by far the most thrilling of all the mountains in Florida. 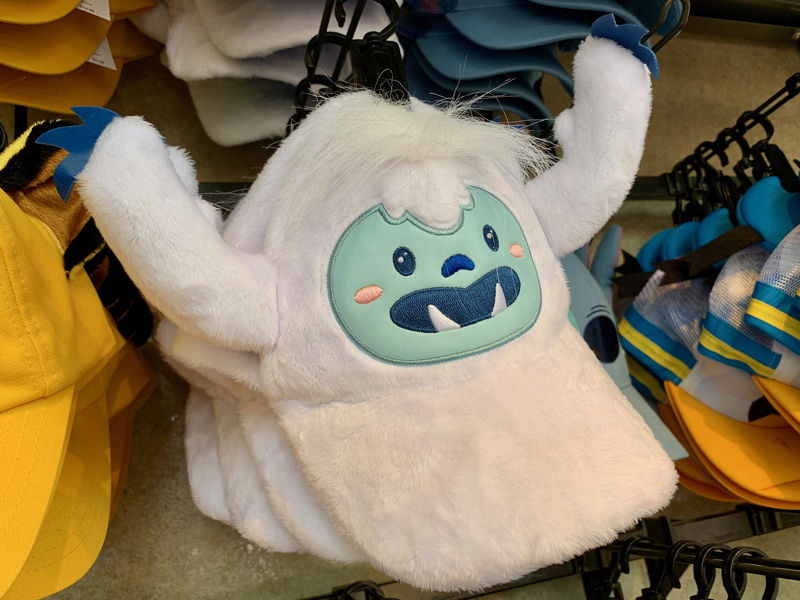 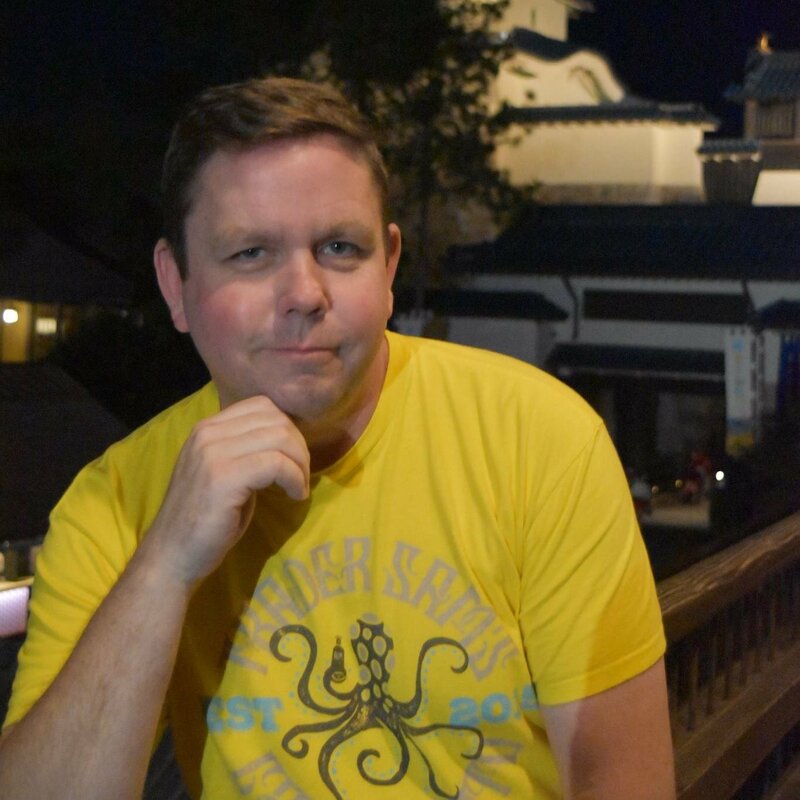 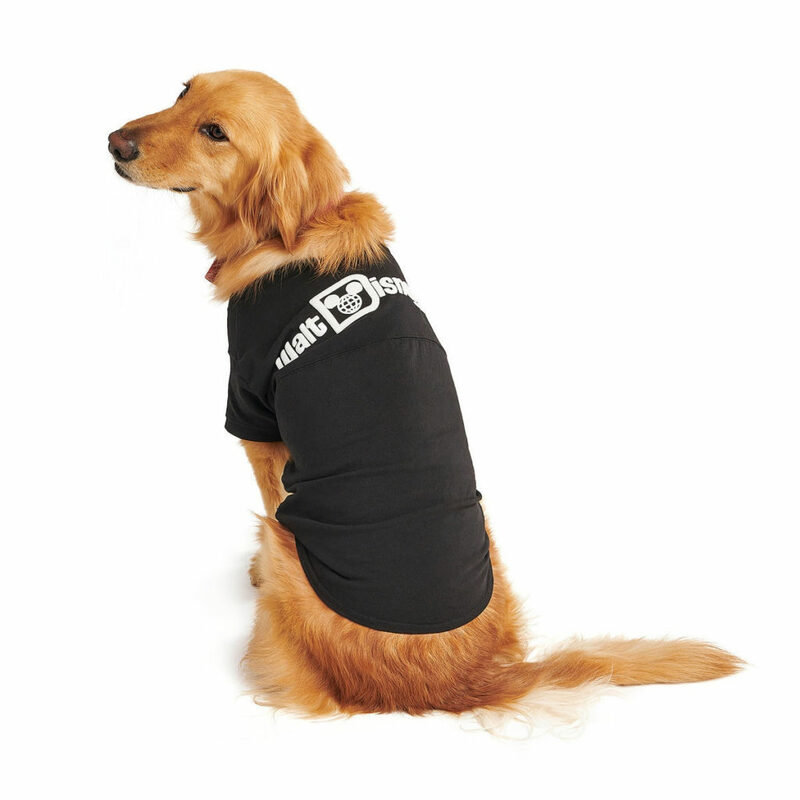 For those of you wondering about the Yeti… well he has a new hat! 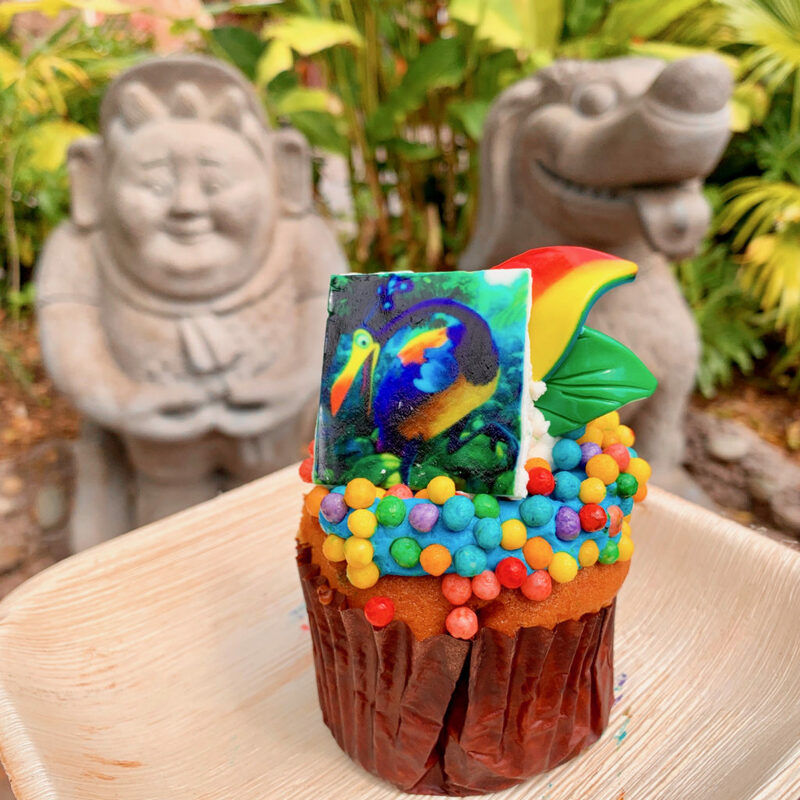 A new addition to the food offerings in Asia is the Kevin Cupcake! 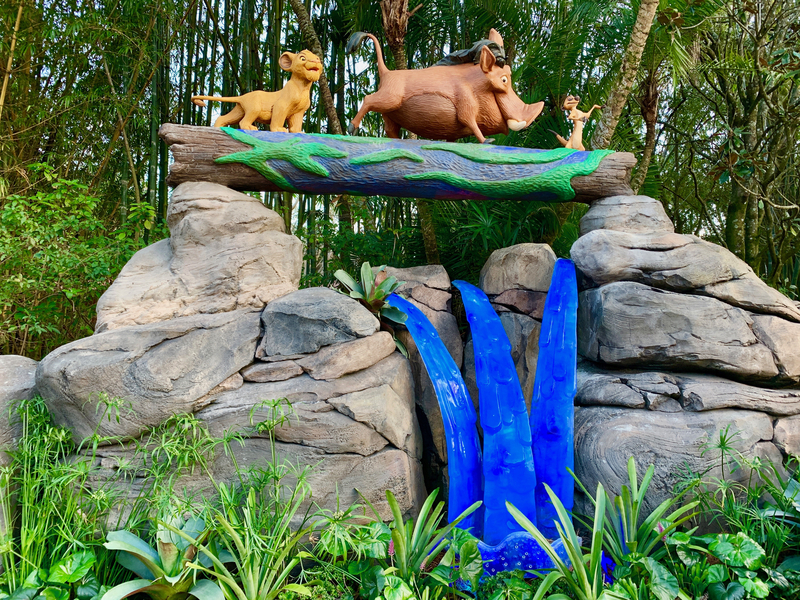 This yummy yellow cake with baked-in sprinkles is filled with strawberry mousse and is topped with a “sky” of buttercream, crispy white chocolate pearls reminiscent of the Up balloons, with fondant leaves, and an edible chocolate picture of Kevin to top it all off. 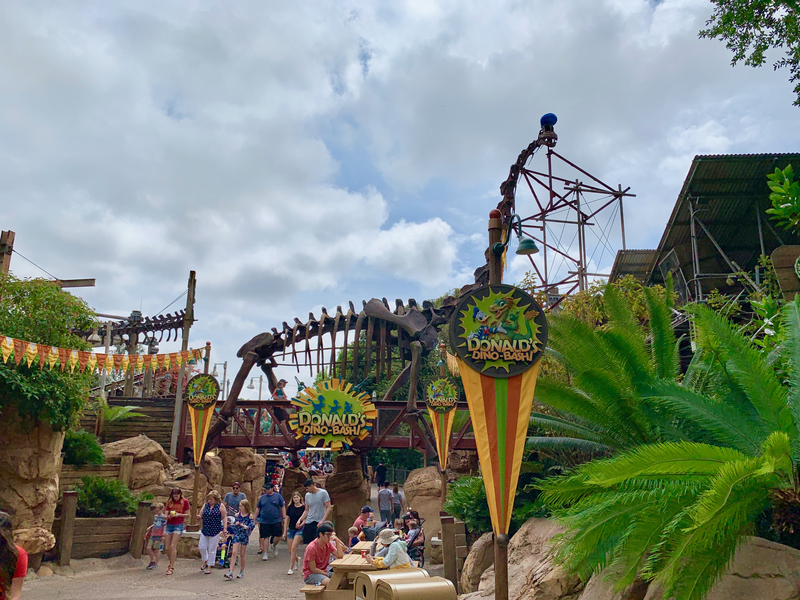 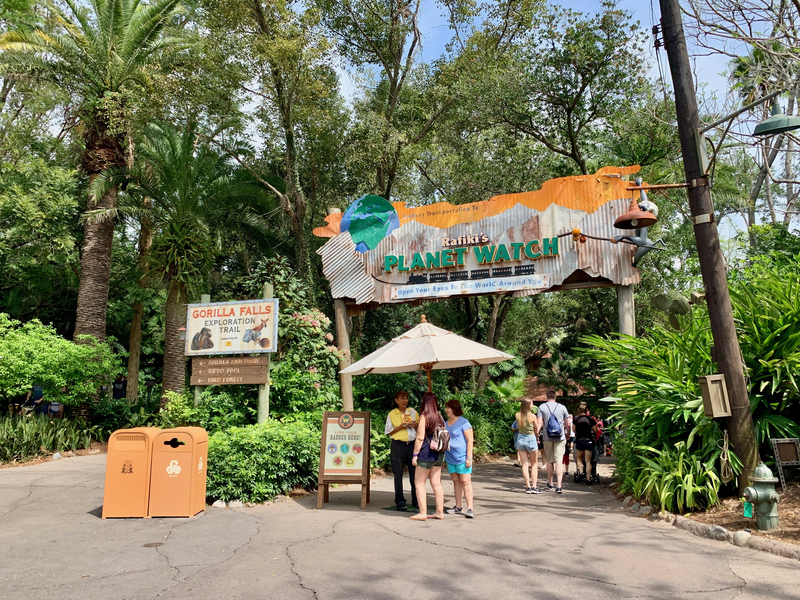 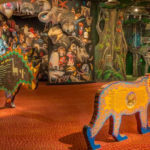 Venturing into Africa, the Kilimanjaro Safari and Festival of the Lion King continue to be some of the biggest draws for families while the Train to Planet Watch will be reopening this summer. 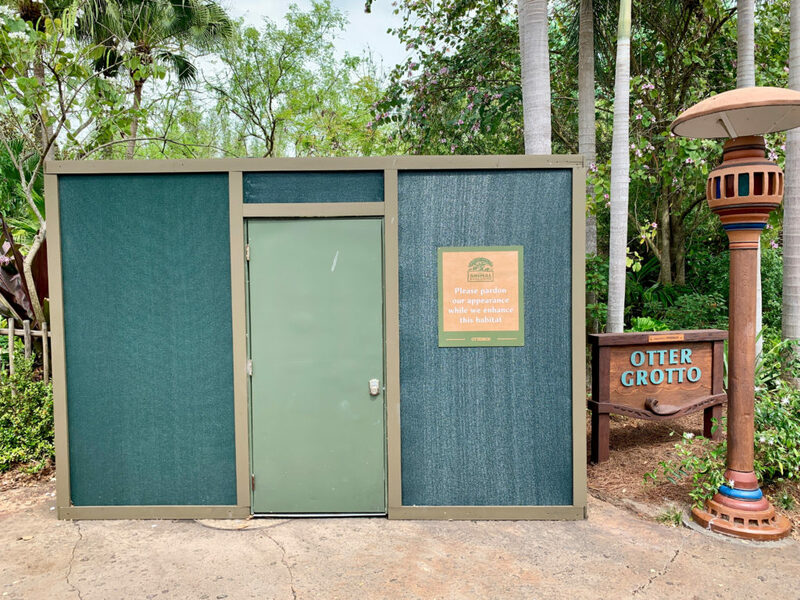 Out on Discovery Island, the new Otter Grotto supported by Otter Box, located near Pizzafaria, is still under construction with no opening date as of yet. 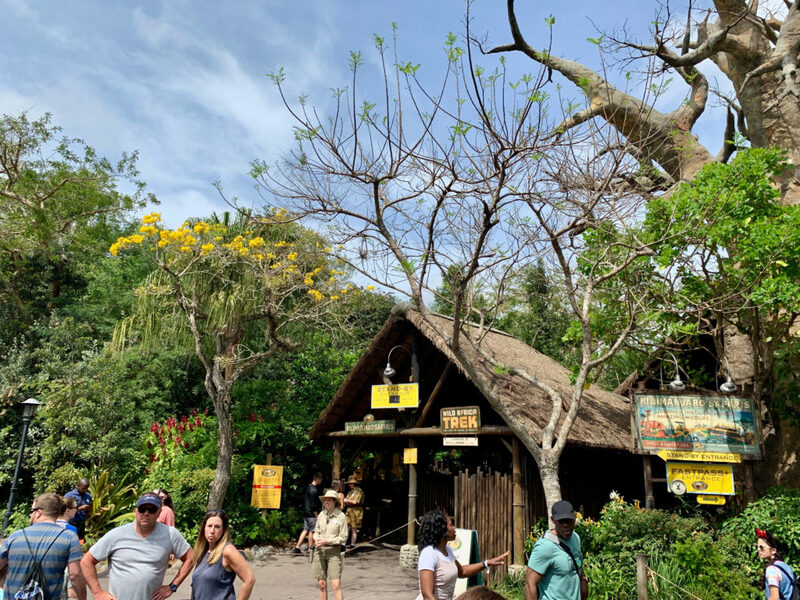 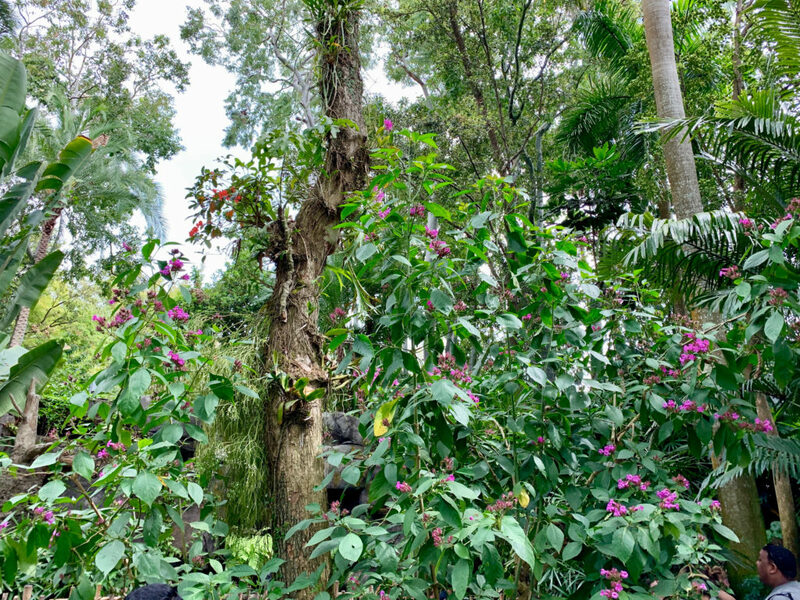 Also out on Discovery Island is where you might find the elusive Kevin Bird strolling around and photobombing guests — but please don’t offer her chocolate. 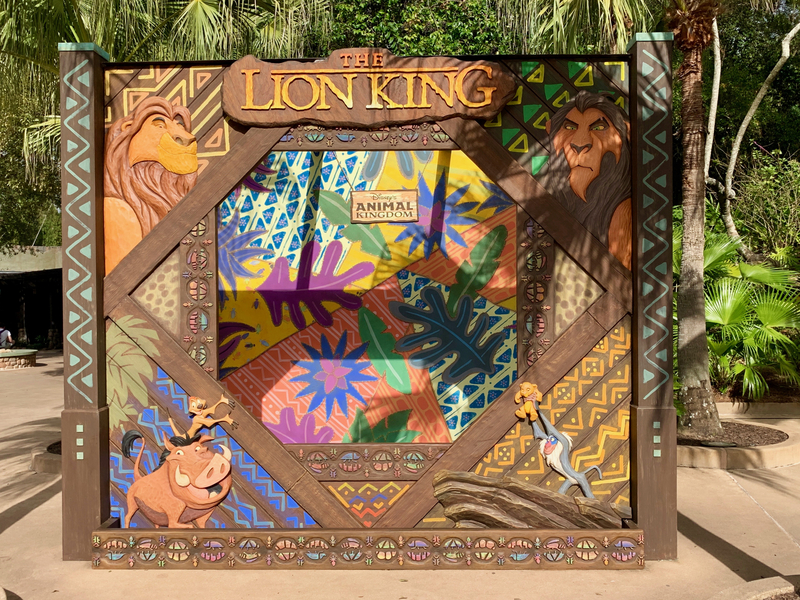 As part of the celebration for the 25th anniversary of the Disney Animated Classic The Lion King, photo spots have been erected at the entrance of the park and near the bridge to Pandora and the high energy Hakuna Matata Time Dance Party has been going strong for a few months near the entrance to DinoLand U.S.A.
Now it wouldn’t be spring (close enough for Florida) without some of the beauty of Disney’s Animal Kingdom showing through.